When traveling, whether to remote campgrounds or to cities, figuring out how to get from the airport to downtown can be difficult. 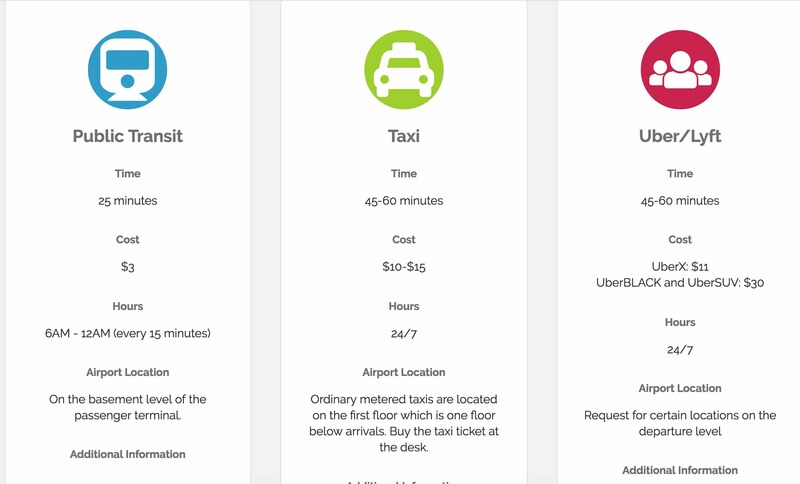 There are generally several different options… taking taxis, rideshare like Uber/Lyft/Grab, and different methods of public transportation. Of course, which method of transportation best for you will depend on your budget and time constraints. That’s why we created www.planetotrain.com. PlaneToTrain contains comparison guides of the methods of transportation from top world airports to the downtown areas of cities nearby. In addition, the site contains detailed guides for many of the airports. The guides contain information such as common scams, additional fees that you may be responsible for, as well as links to the official airport and transit pages. Next time you’re planning a camping (or other) trip, we hope you find PlaneToTrain useful!